Kilchoman Distillery is a relatively new distillery located on Islay, one of Scotland finest Whisky regions. As the Distillery has grown, from the first production in 2005 to bottling their first Whisky in September 2009 and now an ever increasing production and sales of the farm distillery products, the management and record keeping has become increasingly important. During the growth of the Distillery the management of the records of Production, Vatting, Storage and distribution has become increasingly more challenging. The obvious tight regulations and Government requirements for control and record keeping of every element of the Distillery process creates a huge amount of data which needs to be kept in check. As production increases and Casks need to be moved and the Sales begin to kick in, the record keeping and operation needs to be controlled, secure and reliable. Kilchoman Distillery successfully ran the operation with a bunch of spreadsheets and with a very tight grip on how they linked together, they got by. 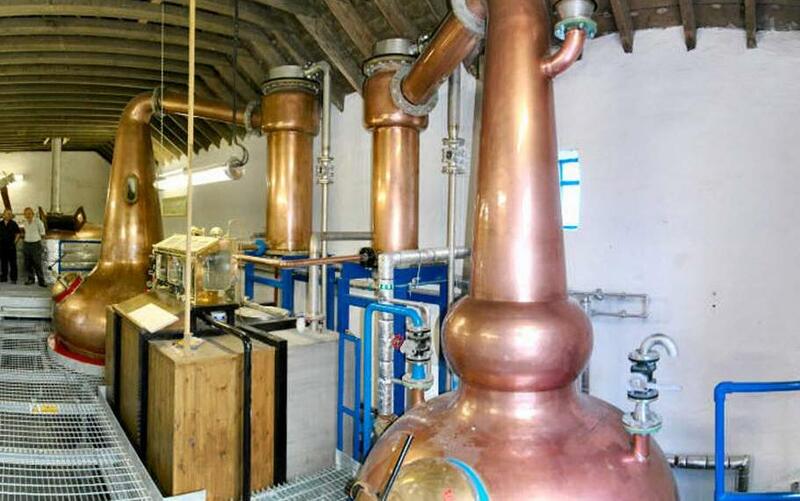 In 2014 while the Distillery was enjoying an extremely good year for production and sales the administration was at breaking point and needed to make the process less time consuming and more reliable..
SAMTEQ designed and built a system, Distillery Genius, to dramatically reduce the administration time, tighten procedures, secure the data and introduce very useful reporting for the whole organisation. By improving the process of data entry and the user friendly web style interface the production team were able to easily add the information as they went through the production process. Authorised Staff have a secure access to the Distillery Genius System from anywhere in the World, this is important as the Sales Force and Directors can get a report on what is available and various reports while promoting Kilchoman Distillery around the World. The system, although locally hosted due to the unreliable nature of the Internet on the Island, backs the data up to an Enterprise Class Data Centre in London and then archived to a geographically diverse location for further security. Distillery Genius can be recovered and made available to any internet connected location in the World, in under an hour. This delivers an excellent Business Continuity solution as well as remote worker solution.